How Does a Clam Eat? 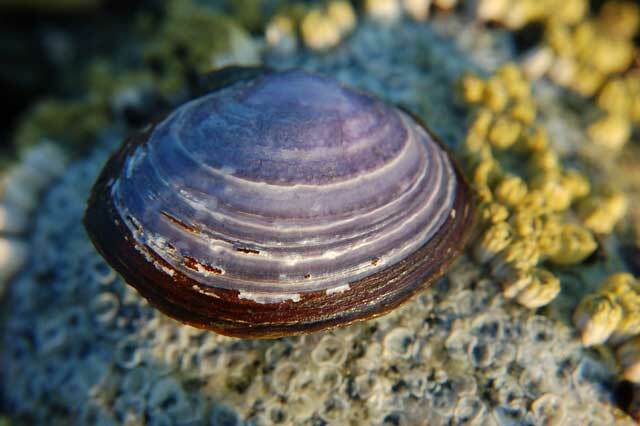 Clams, like oysters, have no eyes, ears, or noses, so they cannot see, hear, or smell. But they do have a large number of feelers, or tiny hairy projections on their gills. When the clam’s shell is open, these hairs fan the water, which is rich with small organisms, into the clam’s small mouth. From there, the food is digested in the stomach. Water and particles the clam cannot use flow out through the siphon, or neck. Clams come in a great variety of sizes. The quahog, the most sought-after edible clam in the Eastern United States, is about three to five inches across. These are the clams that go into our clam chowder. But there are giant clams too, which are found on South Sea islands. These giant clams feed on the same microscopic food particles that smaller clams do. Giant clams may weigh up to 500 pounds, with shells measuring up to four feet across! Where Did the Phrase “Happy As a Clam” Come From and What Does the Expression Mean? How Can You Tell a Clam’s Age? How Was Clam Chowder Invented?